When the garage doors are creating problems in any kind of operation, there is a signal for the person that it is the right time for getting them repaired or serviced by a professional. Everyone should be aware of some signs that indicate that the garage door servicing needs to be immediately done. Almost everyone has the habit of doing difficult tasks on their own but it is highly recommended that highly technical tasks are performed by the experts of the field. The latest trend in the market is of garage door service companies who will perform all mandatory services for the customer’s garages. As the garage doors are installed, people have to remember one thing that a garage needs proper attention and care so that it can work well for long period. If the garages are not properly cleaned and maintained, then there are huge chances that the people living in the home are caught up in serious situations. Hence, it is highly recommended that the experts are contacted as soon as the garage door gives signs of some issues. 1. When the garage door springs make weird sounds such as squeaky ones or there is imbalance between the garage doors, the doors have to be serviced instantly as they can cause issues such as getting locked in the garage, malfunctioning of garage door and etc. 2. 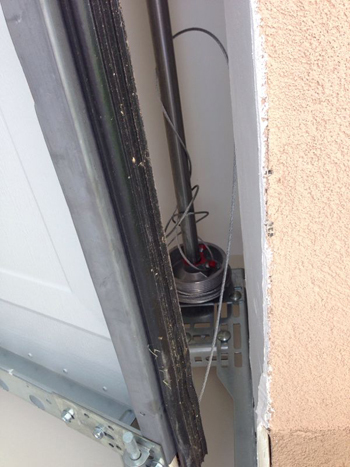 Garage door cables have to be checked on continuous basis and any imbalances in the doors or malfunctioning of them is a clear signal of garage door repair. 3. Likewise, the rollers, off tracks, pulleys, brakes, sensors and all other parts of the garage door should be monitored frequently so that any issue in the garage door is immediately addressed and rectified.